President Trump told top administration officials in private conversations throughout 2018 that he wanted to withdraw the U.S. from NATO, the New York Times reports. 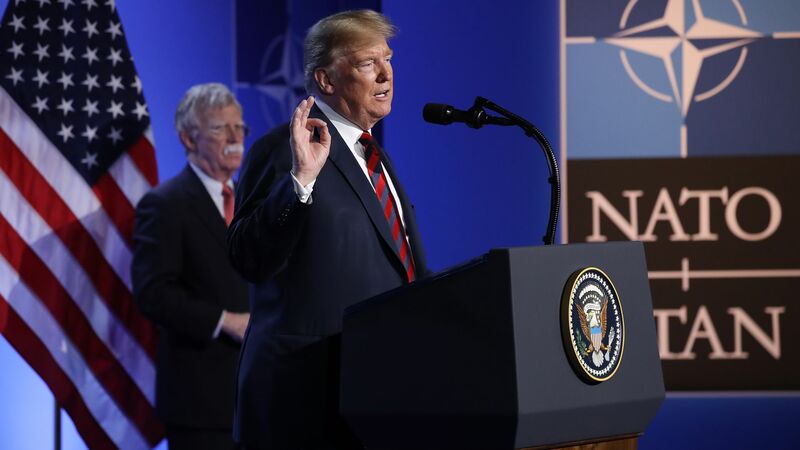 Why it matters: Senior national security officials believe the withdrawal from the 29-country military alliance "would drastically reduce Washington’s influence in Europe and could embolden Russia for decades," the Times reports. The move would be "the wildest success that Vladimir Putin could dream of," Michèle A. Flournoy, a top defense official under President Obama, told the Times, which reported last week that the FBI had opened a counterintelligence investigation into whether Trump was secretly working for Russian interests in 2017.